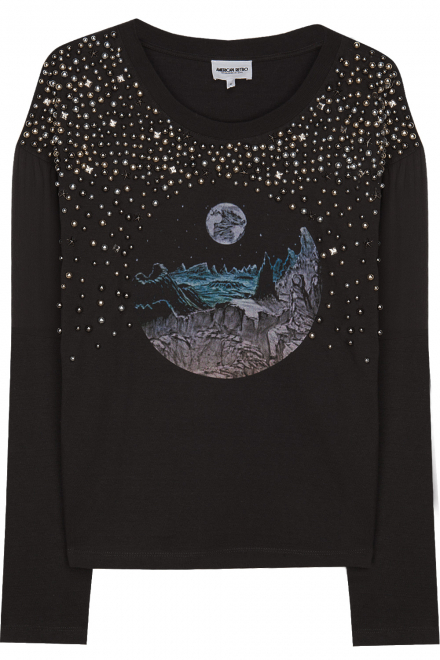 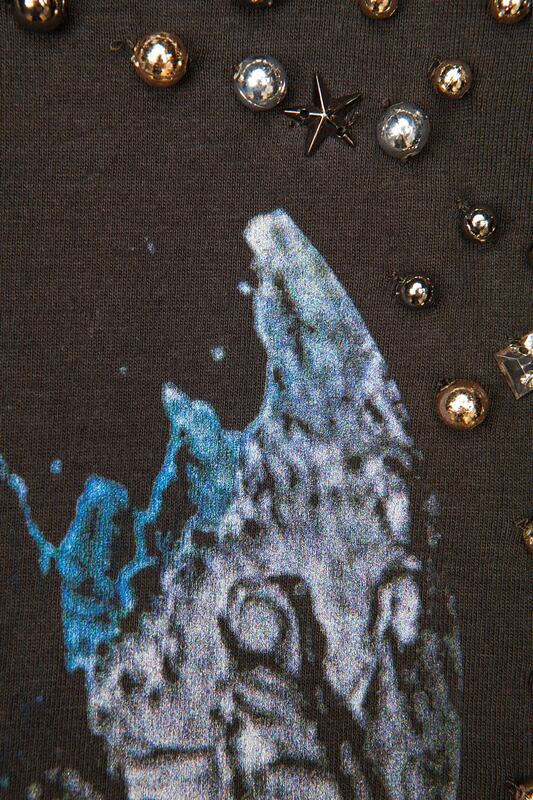 This galaxy inspired sweatshirt is all about the details! 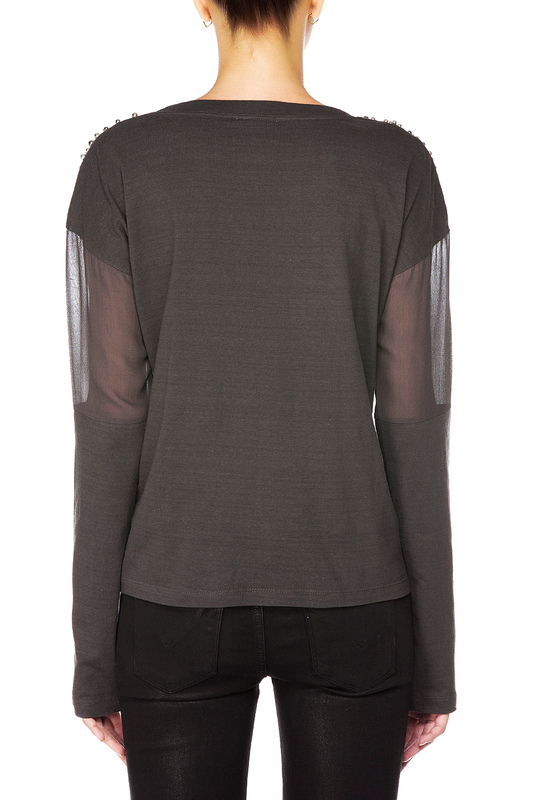 Sheer upper arm paneling and intricate beading adorn the fabric. Wear yours with skinny jeans and flats for the perfect look.